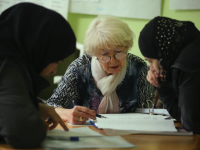 BERLIN (AP) — A Berlin court has ruled that a law prohibiting a Muslim teacher from wearing a headscarf in a public school doesn’t violate her constitutional right to religious freedom. 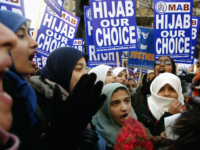 New York City has reached a $180,000 settlement with three Muslim women after they sued the NYPD for forcing them to remove their hijabs for mugshots. A young woman in Saudi Arabia was arrested on Monday for wearing “suggestive clothing” after a Snapchat video emerged of her wearing a miniskirt, state media confirmed. 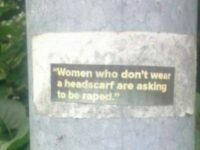 THE HAGUE (AFP) – Dutch lawmakers have voiced opposition to a proposal by Amsterdam’s top police official to consider allowing female Muslim agents to wear headscarfs, Dutch media reported Friday. 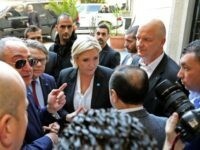 The leader of France’s National Front, Marine Le Pen, has opted to cancel a meeting with Lebanon’s Grand Mufti rather than wear an Islamic veil. 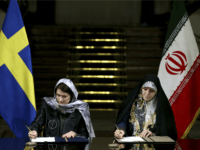 Sweden’s “feminist” government has defended its delegation wearing Islamic headscarves in Iran, after receiving widespread accusations of hypocrisy. 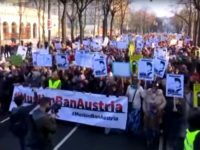 Thousands of mainly Muslim women have marched in the Austrian capital in support of Islamic headscarves and veils after the government agreed to ban the garment in public places. 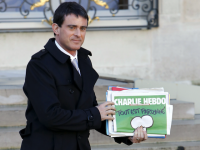 LUXEMBOURG (AFP) – The EU’s top court faced a dilemma Wednesday after a top legal officer said it was discriminatory for a firm to tell an employee to remove a Muslim headscarf, contradicting an earlier opinion in a separate case. Iran has arrested eight people in a crackdown against women who “promote immoral and un-Islamic culture and promiscuity,” by appearing on Instagram without wearing the mandatory hijab head covering. 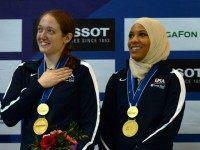 An Muslim athlete from the United States will bring Islamic politics to the 2016 Rio Olympics by wearing an Islamic headcloth, or hijab, during fencing competition.